Pittsburgh has been faking us out for months with one cool day surrounded by many warm ones. But it’s December and we want to equip you with everything you need to keep on riding through our cold and snowy season. Yes, you heard us right, the bikes will continue to roll through the winter! While we’ll be reducing the number of bikes in the fleet, Healthy Ride will be out on the road all winter long and we hope that you are too. Healthy Ride bikes are designed to withstand all of the trials of Pittsburgh winters. So whether you’d rather use our bikes instead of yours, want to get out of the cold and to where you’re going faster or just want to take advantage of every clear-road day, Healthy Ride will be there. You just have to bring the rest! 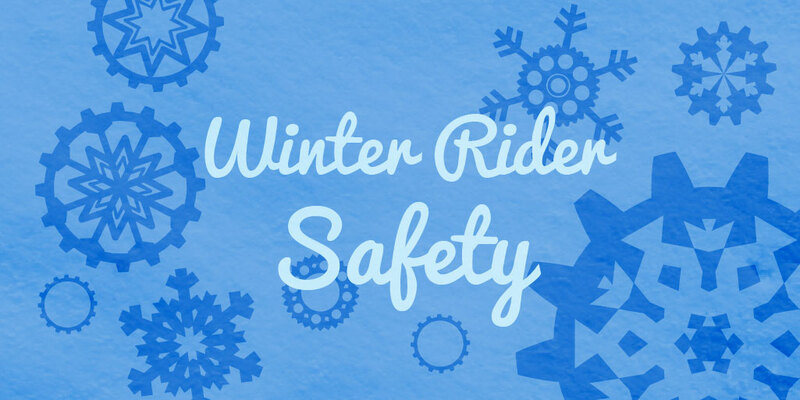 Dress to Stay Warm and Dry: Bring a pair of gloves, wear warm, thick socks, put on a thin knit hat under your helmet to keep your ears and head warm, and bring an extra layer to ensure your core stays warm on your ride. Be Safe – Know Your Limits: You should be comfortable when you’re riding. Bring the right gear to stay safe and warm. If you’re not comfortable riding in the snow or rain, use a different method of transportation that day like a bus or car share. Keep Your Eyes on the Road: Pay attention to what’s out in front of you. Look out for wet leaves, patches of ice or packed snow. Know that it’s safest to ride straight through these obstacles if you encounter them; don’t make any sudden turns. Be Visible: The high-visibility lights on the front and rear of every bike are designed to attract attention and make sure you’re seen. But in these darker months it never hurts to add a high-vis layer to your wardrobe. Think about wearing bright colors while you ride to increase your visibility on the road.